Manila weather, with its alternating sunny and rainy days, can bring about common cough and sore throat. I usually do not wait for symptoms to worsen; it just takes that familiar sting in the throat to send me to the kitchen cupboard for these quick and safe home remedies that I have learned from my parents. Sore throat is usually caused by viral and bacterial infections. One of my tried and tested natural ways to quickly cure inflamed and irritated throat is to gargle warm salt water at least twice a day - upon waking up in the morning and before going to bed at night. When gargled correctly, warm salt water can help give temporary relief to scratchy throat, as well as wash away the germs that are causing the problem. 2. Put one tablespoon of salt into the water and stir. 1. Sip a small amount of the mixture and leave it in your mouth. 2. Tilt your head back and start gargling. 3. In order for the salt water to reach lower down your throat, slowly extend your tongue or stick it out while gargling. 4. Gargle for about 10 to 30 seconds, depending on how long you can hold the salt water in your mouth. 5. Repeat until you consume the whole glass of warm salt water. When my mom first told me to treat my daughter's cough with honey, I could not believe her. I thought that honey was sweet - aren't we supposed to stay away from sweets if we're sick? I tried the honey remedy recently by taking one to three tablespoons of honey before bedtime. I was surprised that by the next day, I was already releasing phlegm and mucous quite easily. I continued taking honey for the next two nights and believe it or not, I was already well by the third or fourth day. I also tried the same remedy for my eight year-old daughter - only, at smaller doses. 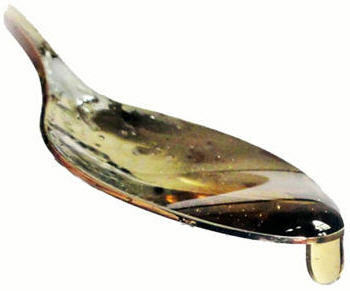 I gave her one tablespoon of honey every night and the same results were observed. Here's a warning though: it is said that honey should NOT be given to children below the age of two. Staying healthy is a basic need, health is very important.